MONTREAL - The Montreal Alouettes have acquired struggling receiver Adarius Bowman from the Winnipeg Blue Bombers. The Bombers sent the 33-year-old Bowman to Montreal for a conditional eighth-round pick in 2019. 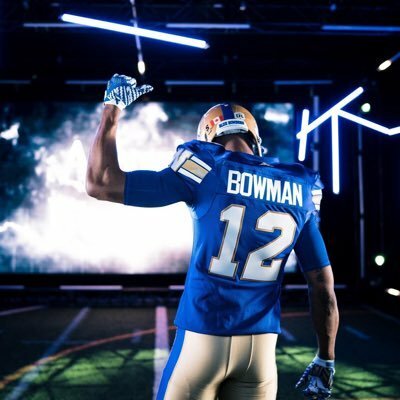 An 1,000-yard-plus receiver for three consecutive seasons (2014-16) with Edmonton, Bowman was released by the Eskimos this off-season and picked up by the Blue Bombers. But Bowman had just nine catches for 95 yards in six games with Winnipeg. The three-time CFL all-star didn't have a single reception in a win over the Toronto Argonauts last Saturday. In Montreal, Bowman will team up with new quarterback Johnny Manziel, who was acquired in a blockbuster deal with the Hamilton Tiger-Cats on Sunday. The Alouettes play host to the Eskimos on Thursday night.